It amazes me how some people are just born with that fashion gene. Unfortunately I am without that gene and the innate sense of fashion. Luckily for me my sister is a fashion designer who tries to help me out where nature failed me. A spent some time with her the other night and she gave me some good fashion advice. Here is the advice and tips she shared based on the outfit she was wearing- Enjoy! There are so many great looks for this season, we could spend endless time discussing so I will just focus on my favorites. 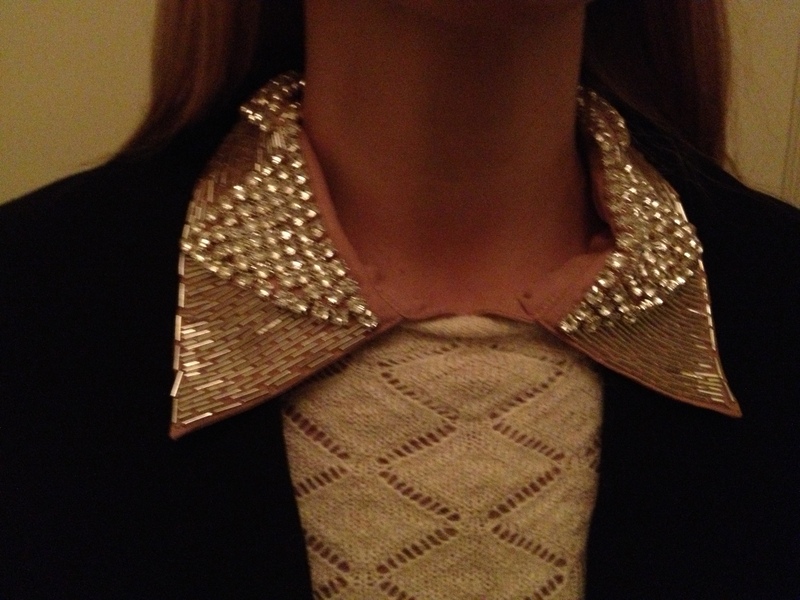 The blouse with embellished collar is such a great way to dress up a work outfit or to wear out for dinner. These blouses tend to be loose-fitting and longer in the back, which is great for anyone who does not have the perfect derrière! Also these tops have a sheer quality to them so they go great when layered with a fitted sweater. It s important that the sweater is some what fitted so you carve out a nice waistline. What is really great is you can get these embellished blouses and light weight sweaters at any price point. The blouse and top I am wearing in the photo are from Forever 21 and ran me about $20 a piece. I personally love blazers, they go well with everything and look great with every body type. Whether its to create a waistline or give the appearance of a slimmer silhouette they go with EVERYTHING! When buying a blazer its important to get one that fits well, you dont want it to tight (flash back to tommy boy when Chris Farly is wearing David Spade’s blazer and it rips) and you do not want it too loose, that creates unnecessary bulk. I also bought this blazer at Forever 21, they generally run about $25-$35. The skinny jeans are not always a crowd favorite but if you are daring and want to try a pair of coated cotton jeans like the ones I have on in the photo (they are made to appear like leather with out the added layer of sweat) you can pretty much get them at any price point. I personally tend to go for premium denim like JBrand or AG because I want them to fit well and last longer than a few washes. But really you can go to any department store or outlet store to get a similar look. 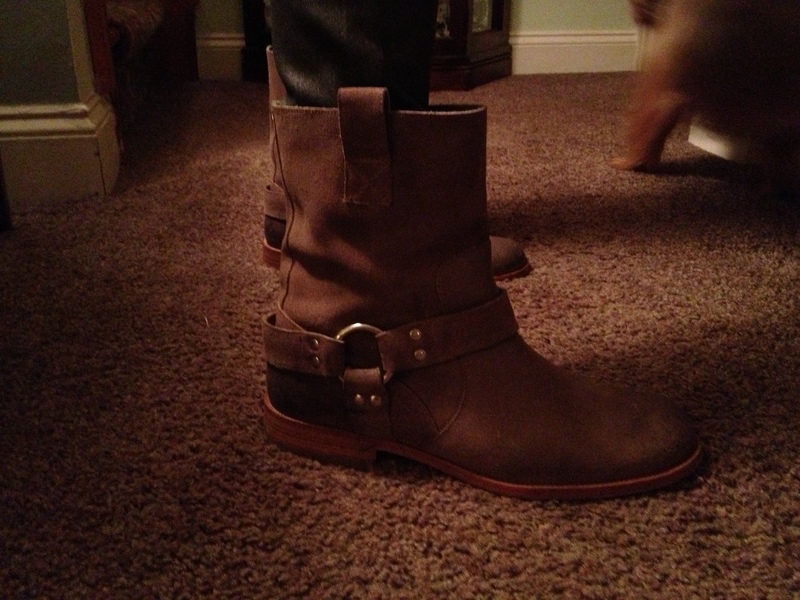 Now on to my favorite topic BOOTS!. Biker boots are so big this season, especially ankle height. The boots are my guilty pleasure so I tend to spend too much on them, the ones I am wearing in the photo are Maison Martin Margiela but fear not you can get the same look at Urban Outfitters without breaking the bank! Finally the last key piece to any outfit is confidence, wear your outfit like you just got off the runway and everyone will believe it! 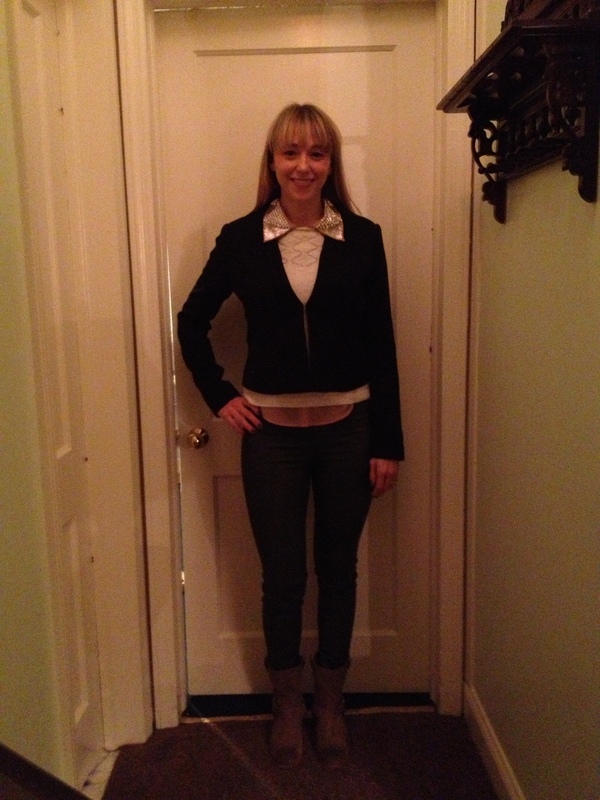 This entry was posted in Diet & Nutrition, fashion and tagged AG, blazer, Blouse, Boots, clothing, embellished blouse, fall fashion, fashion advice, fashion trends, forever 21, JBrand, leather pants, Maison Martin Margiela, sheer quality, skinny jeans, style, Urban Outfitters. Bookmark the permalink. ah, ankle height boots are out of my league. My legs are short enough on they own and unfortunately with such boots they would seem even shorter. Do you tend to invest more in clothes, as you said, to wear them a bit longer than after a few washes or is it just denim? Good question…Although ankle boots are a trend they are not the only height, calf boots are also a great option, in fact of my petite friends choose the calf or tall boots instead of ankle height, it still gives you the look without cutting you off. Some great options are lucky brand “May boots”,Alberti Fermani knee high boots(which are bit pricey but worth it) or style &co Memphis boot(better price). Although you might be on the shorter side, you can still wear fold over ankle boots with a heel, they will create length without cutting you off because of the fold over at ankle. some styles I would suggest are Alice & Olivia foldover ankle boots and style & co fold over ankle boots. I personally invest more money in my pants, especially jeans because I find the premium denim and dress pants look more polished. I also invest more in my shoes as well because I want them to last more then one season. However, with that said I am careful not to spend to much on a fad that is going to be out the next season. Anytime you plan to make a significant purchase So ask yourself if you will wear it more then one season.